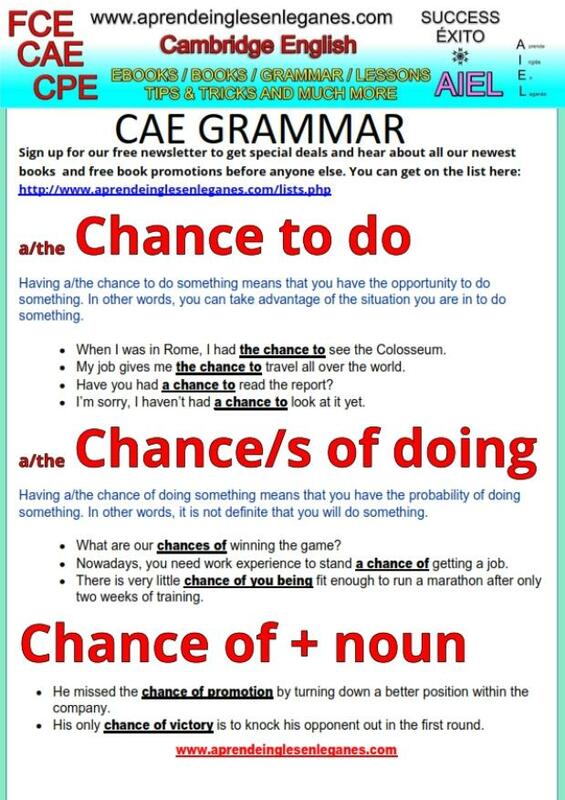 What is the difference between "a chance of doing something" and "a chance to do something"? These two expressions are similar in structure but different in meaning. Have a look at the grammar sheet below to learn when and how to use each.